SERTIC SA SA operates in the field of metal processing and are custom solution providers specifically for the production and development of facilities for pigs. SERTIC SA was founded in 1969 and has maintained a constant growth to the present day. From our factory in Solsona we supply our specialist customers and partners. The staff of 30 professionals at SERTIC consists of installers, production workers, technicians, sales professionals and administrative staff. 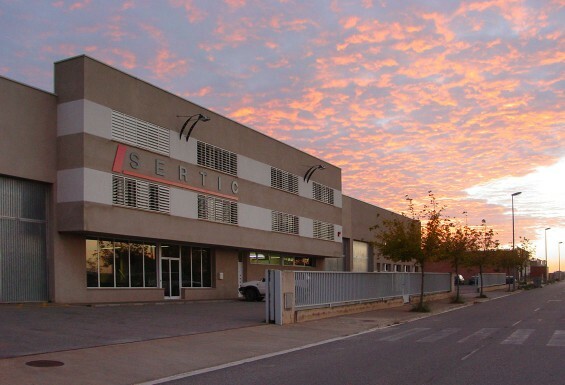 SERTIC is equipped with high-production machinery, modern facilities and occupies a 4,500 m2 area. SERTIC works for small and medium operators and for large farms, bringing our know-how to the development and engineering of specialised livestock equipment. SERTIC has over 40 years of history dedicated to the manufacture, assembly and installation of equipment for the livestock sector in general and pigs in particular. • Continuous development in collaboration with the customer. • Versatility and adaptating to the individual needs of each client. • Proven experience of over 40 years in the livestock industry. • High standards of quality and at competitive prices. • Customer portfolio ranging from the small to the largest livestock sector companies. • Highly qualified and long-serving staff. • Availability of space and capacity to deliver excellent service. • Equipment for pig facilities such as gestation, farrowing, weaning and fattening rooms: gestation cages, farrowing cages, metal fences, floor grates, feeders, hoppers, drinkers and other accessories. • Complete systems for insemination centers. • Additional equipment such as ventilation, humidifiers, heating, water and other items such as security windows, fans or chimneys. • Air-conditioning systems for poultry houses. • Other livestock metal works.